Vincent Porpiglia is no stranger to sleepless nights. After graduating from college during a recession with few job prospects, he was tossing and turning one night when he came up with the idea for Dream Water, a natural liquid remedy for insomnia that he eventually developed and perfected. 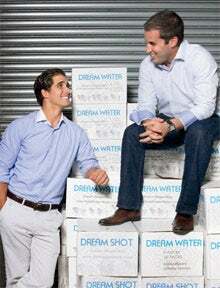 With partner David Lekach, a former investment banker and fellow insomniac, Porpiglia launched Dream Products in 2009 and began selling Dream Water in Duane Reade drugstores across New York City. 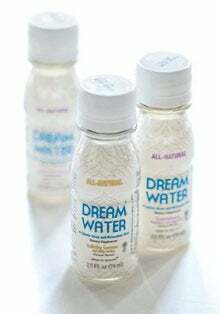 Today, Dream Water is sold in 15,000 stores nationwide, including Walmart and Walgreens. While the private company doesn't release its revenue figures, Dream Products is on track for 350 percent growth over 2010 revenue, which was in the low seven figures. Getting there wasn't easy. "We had to leave the security of existing jobs and throw ourselves 100 percent into Dream Water," Lekach says. "We started with a vision that we wanted to accomplish, then we set goals that would make that vision successful. Then we worked toward meeting those goals. We had to eat, live, breathe and dream about Dream Water every single day." Like Porpiglia and Lekach, scores of people dream of leaving behind the limitations of the corporate world to become entrepreneurs. But starting a business can be daunting, and many never get beyond the dreaming stage. Want to start making actual progress on the path to entrepreneurship? Here are six steps to get you moving in the right direction. It's not enough to simply want success. Entrepreneurs who make it are also passionate about their businesses. "Make sure you are not chasing money, but you are chasing a passion," says Michael Hall, managing partner of Fort Lauderdale, Fla.-based marketing agency MediumFour. "The passion has to be something instilled in you, because you will experience many ups and downs with business. If it comes to just being about money, you have a better chance of giving up when things get rocky." "If you're just in it for the money or the glory, it's too much work and you'll give up much sooner." Hall says the best way to determine whether you're passionate about your potential business is "if you get that tingly feeling, or that 'I could do this every day' feeling, when you are working on a project or an idea." Porpiglia and Lekach are both passionate about Dream Water because they have dealt firsthand with sleep problems, and their research shows that 70 million Americans share the inability to rest well at night. That experience and knowledge energizes them to get their product out where it can help others. The first time he tried Dream Water, Lekach says he fell asleep by 9:30 or 10 p.m., something he hadn't done since he was 15. "I knew this was a fit for me because I was excited every morning to get up and work on it," he says. "To be successful, you have to have an unwavering commitment to what you're doing. If you're just in it for the money or the glory, it's too much work and you'll give up much sooner." 2. Make a financial plan. One of the most important ways to prepare for leaving your job and launching your own business is to make a detailed plan for your finances during the startup phase. Rohit Arora, CEO of Biz2Credit, which helps startups secure financing, recommends having enough savings to get you through at least nine to 12 months before getting your business started. "The first year is very important, when all the money earned in the business should be reinvested without the owner needing to draw out any money as salary," Arora says. He recommends waiting about 18 months after launching before expecting a regular salary check. During the first 18 months, you can reimburse yourself for operating expenses, but don't expect to draw a salary consistently. Otherwise, less money will be reinvested in the business, lowering your long-term prospects for growth. In addition to planning and saving for your own livelihood during the startup phase, plan ahead for how you will fund the business. Arora recommends seeking loans for a retail business in which product development does not take very long, and seeking investors for a business that requires a large upfront investment or a new technology for which you expect to have a patent. "In either option, bootstrapping for the first year is key to have a better chance of raising investment or loans," he says. "This also makes the business more sustainable over a longer period." For help finding potential funding options, check out websites like TakeCommand.org, which offers a funding database with more than 5,000 resources for entrepreneurs. However you plan to fund the business, keep costs under control and be careful not to underestimate how much money you'll need to get started. "You don't want to have to apply for a second round of funding until after you have proven that your company is viable and has a prospect of growth," Arora says. "If you go back for money before having results, it makes it look like you have either not planned well enough or have squandered the money. In either case, lenders will be unlikely to give you more money." While Porpiglia developed Dream Water in 2007, the company never really got off the ground until Lekach joined the effort two years later, bringing an additional set of skills to the table. And once partners Adam Platzner, chief brand officer, and Joseph Lekach, vice president of business development, came aboard, things really got cooking. Working alone can paralyze many would-be entrepreneurs, so consider getting a partner or two to share the workload and the risk. "No one is good at everything," says Matt Spradley, who has launched three successful technology startups and is currently CEO of image-based electronic signature provider Vignature. "Even if you are a jack of all trades, there isn't enough time for one person to do everything that is required in a startup. It can also be really lonely when you're starting out. It's you against the world. You don't have the protection of the corporation. Having someone in it with you really helps with that burden." Rather than partnering with someone who's just like you, look for someone who complements your skills. For instance, "if you are a techie, find a business partner," Spradley says. But because situations (and people) can change, sign a partnership agreement upfront that spells out a vesting schedule and how a potential separation would be handled. "Share your enthusiasm. It's infectious." Give yourself peace of mind by lining up customers for your new business before leaving the security of your job. Life and success coach Kristi Blicharski recommends creating a list of all the people who have been supportive of you and contacting each of them personally--not via mass e-mail--to share the news of your new venture. "Include anyone who has ever said they liked working with you or would like to hire you if you were out on your own," she says. "Mention that you've enjoyed working with them and ask if they or someone they know would be interested in what you have to offer." If there are people on your list who may be in a position to do business with you right away, "contact them with a customized offer and let them know you would like to work with them, even on a very small scale to start," Blicharski says. "Don't be afraid to be direct and ask straight up for their business. Share your enthusiasm. It's infectious." Small-business growth consultant Gary Evans of DemGen, a team of specialized virtual entrepreneurs, recommends going beyond those in your network. "Develop a list of the top five [prospects] in five different verticals you are looking to pursue, create an introductory document and work out a script of the main talking points you want to get across," he says. "Call first and follow up with e-mail." He recommends setting specific goals such as reaching out to 25 people, getting five warm prospects, presenting two proposals and closing at least one sale. There are other ways to get sales in the pipeline, such as aligning yourself with an individual or a group that performs similar services and joining them as an associate to "test-drive on a contract or two," Evans says. "Then you may simply join them, working independently, but not alone." 5. Devise a marketing strategy. "The most important thing people need to know when they leave a job to start their own business is that their success will not depend on how good they are at what they do," says Dov Gordon, a small-business marketing strategist. "It will depend on how good they are at marketing and sales." Unfortunately, when it comes to marketing and sales, entrepreneurs receive "boatloads" of bad advice from "experts" in social media, telemarketing, networking and public relations, Gordon says. "The innocent entrepreneur invests thousands of dollars and several months with this or that method-specific expert, and usually the results are far below expectations," he says. "Marketing tactics are like plumbing, electricity or flooring. Before you hire a plumber or electrician you need an architect who designs the blueprint. Fact is, it's hard to find a good marketing architect, but the marketing plumbers are everywhere. They mean well, but they're taking entrepreneurs for a ride." "When you focus your marketing message on the customer's problem and desired result, they notice and come over and ask for more." Rather than getting stuck on one particular marketing tactic, take time to develop a strategic marketing plan, including regular marketing outreach, to ensure your marketing time and money is targeted toward your goals. "Good marketing enables the entrepreneur to focus her time, energy and resources on just the people who are most likely to become customers," Gordon says. "Marketing is really not about telling [people] how great your products are. Good marketing is based on a deep understanding of the problem your customer has and doesn't want, or the result they want and don't have. When you focus your marketing message on the customer's problem and desired result, they notice and come over and ask for more." 6. Listen to sound advice--and ignore poor counsel. While you must avoid bad advice that ignores the big picture of your marketing strategy, a successful entrepreneur will heed the good advice of those who have been there before. "Just like the things your parents told you when you were a kid, lots of people, me included, don't listen to the expert advice and take the position that it doesn't apply to them. Wrong," says Benjamin Sayers, three-time entrepreneur and current CEO of VoIP solutions provider VoIP Supply. "Mistakes made in creating, building and growing a business and the challenges faced by entrepreneurs are all fairly universal. Listening to experiences from others and plucking from that what is relevant to them can be helpful to entrepreneurs." To determine whether the advice you're hearing is worth retaining, consider the source and their experience. Whether you're talking with a SCORE counselor, board member, advisory board member, attorney or your best buddy, "qualify their expertise on the subject matter and their recent experience in the subject matter," says Susan Schreter, venture finance expert and founder of TakeCommand.org. "For example, it's common for entrepreneurs to talk to business brokers and other people who might offer to help them raise equity capital for their business. Here, the entrepreneurs who want to raise money from angel investors must ask, 'What companies have you raised angel money for during the last two years?' If the so-called advisor hasn't 'been there, done that,' move on to find someone who has." In addition to seeking out others in your network who have been in your shoes, Sayers recommends reading top business publications and websites to learn from case studies and examples.